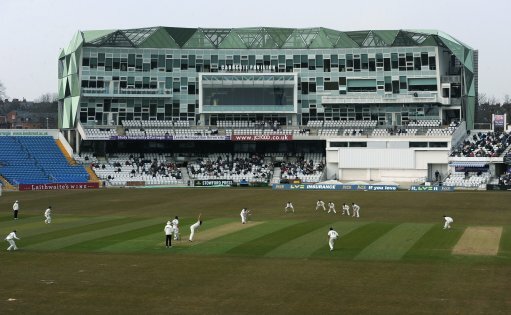 Here are the last fourteen County Championship fixtures that were played out on the once-hallowed turf of Bramall Lane, before the curtain came down on this historic venue. Once upon a time, this ground had played host to an Ashes test match back in 1902, during the Edwardian era. The only century partnership in this match was 111 between Doug Padgett and Geoff Cope for Yorkshire's fourth wicket. Chasing 336 to win, the visitors were reeling at 60 for 5, but a certain Gary Sobers batted his team to safety. versus Leicestershire; 1-3 July 1970; YORKSHIRE won the toss. Brian Booth and Jack Birkenshaw were the only two batsmen who reached ten or more in the away team's first innings. versus Kent; 18, 20 and 21 July 1970; Kent won the toss. Mike Denness saved Kent from a likely defeat. Yorkshire would have only needed to chase 76 runs, but time ran out. Spin bowler Norman Gifford tormented the hosts with remarkable match figures of ten wickets for 98 from 60.4 overs. versus Surrey; 26, 28 and 29 June 1971; Surrey won the toss. The best bowling performance in this contest came from Pat 'Percy' Pocock who took five for 52 from 29 overs. versus Gloucestershire; 17, 19 and 20 July 1971; YORKSHIRE won the toss. Recovering from 11 for 3 in the second innings, the visitors defied the odds to reach their target off just 40.3 overs. versus Derbyshire; 10, 12 and 13 June 1972; YORKSHIRE won the toss. The seam bowlers dominated a match reduced by the weather to a one-innings contest. Both teams narrowly failed to win. versus Warwickshire; 24, 26 and 27 June 1972; YORKSHIRE won the toss. The away team were in grave danger at 16 for 3 when following on, but the naughty weather intervened to rescue them. versus Worcestershire; 8, 10 and 11 July 1972; Worcestershire won the toss. A lack of time deprived both teams of an interesting conclusion as Yorkshire needed 140 for victory. The seamer Tony Nicholson did most of the damage as Yorkshire made light work of their west country visitors. versus Derbyshire; 28, 30 and 31 July 1973; Debyshire won the toss. In spite of the best efforts of Mike Hendrick, the hosts managed to achieve the required target off only 40.1 overs.